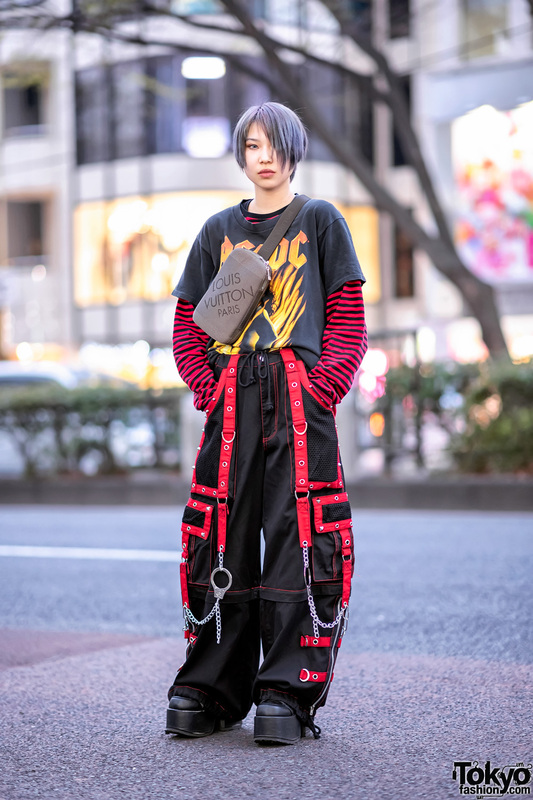 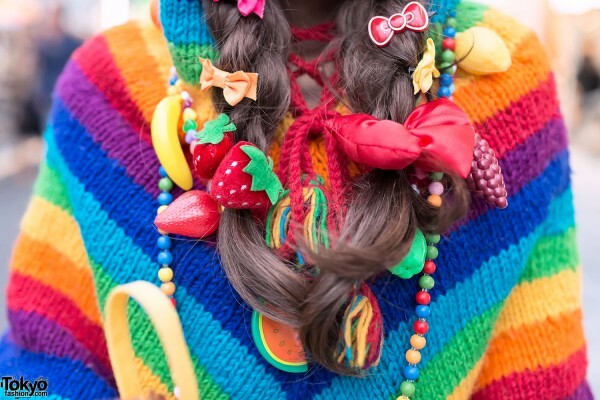 This is “Creamy Sauce”, a 17-year-old Japanese student who has become well known in the Harajuku decora scene. 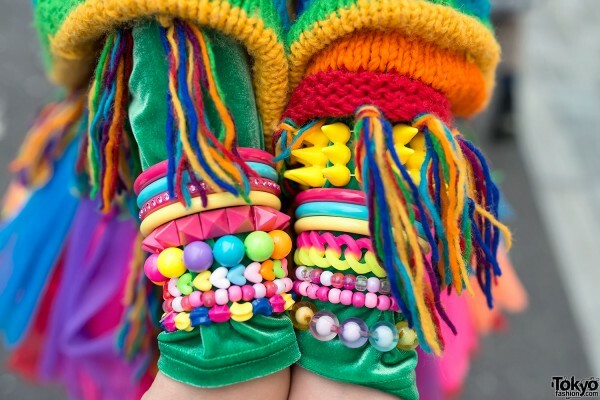 We have snapped her several times before and her looks are always super-fun, colorful, and cheerful – like her personality! 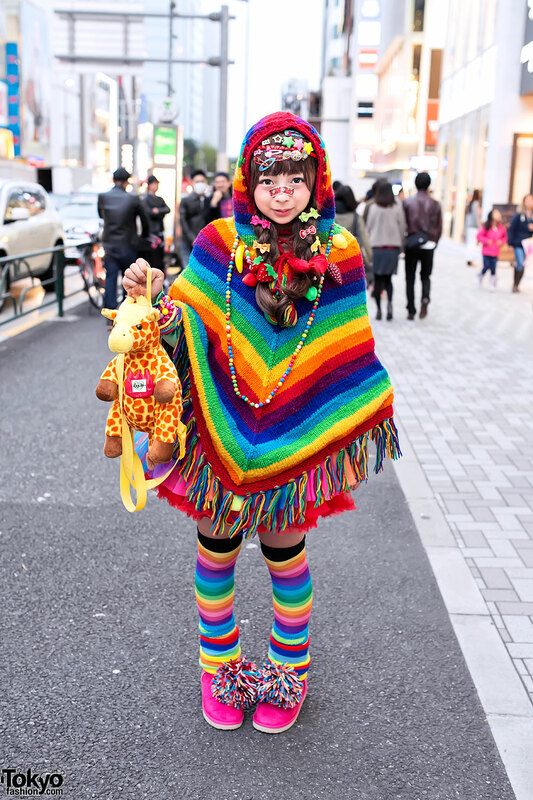 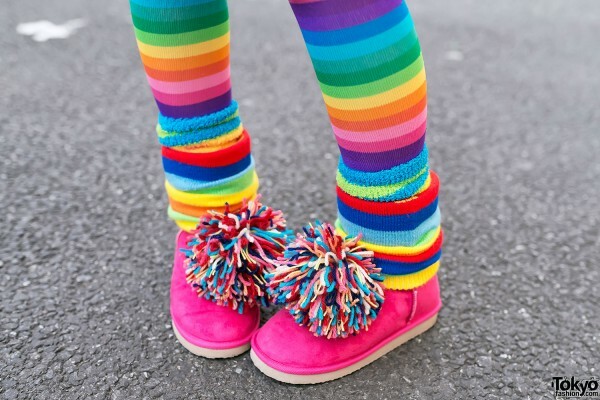 Creamy Sauce is wearing a hooded rainbow knit poncho that she picked up resale over a Cocolulu top, a tulle skirt from Claire’s, rainbow knee socks, and mouton boots that she customized with pompoms. 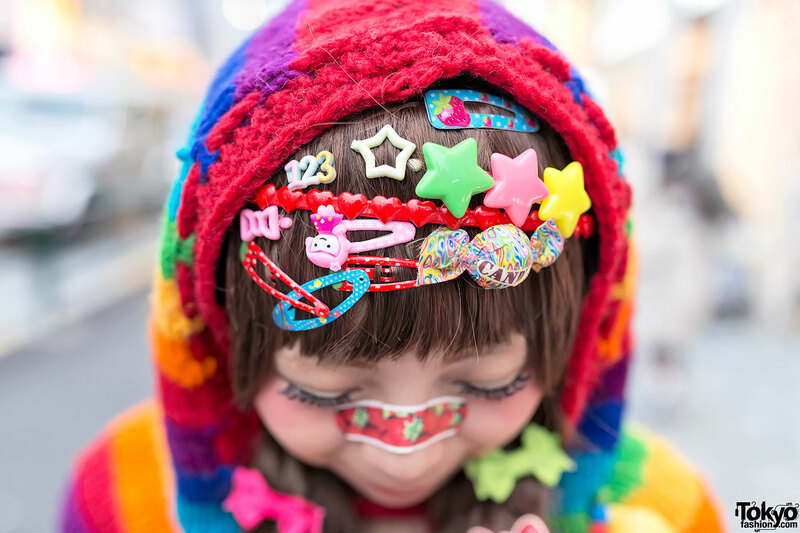 Accessories – some of which are from Claire’s and others handmade) include countless cute hair clips (candy, Hello Kitty, bows, stars, etc. 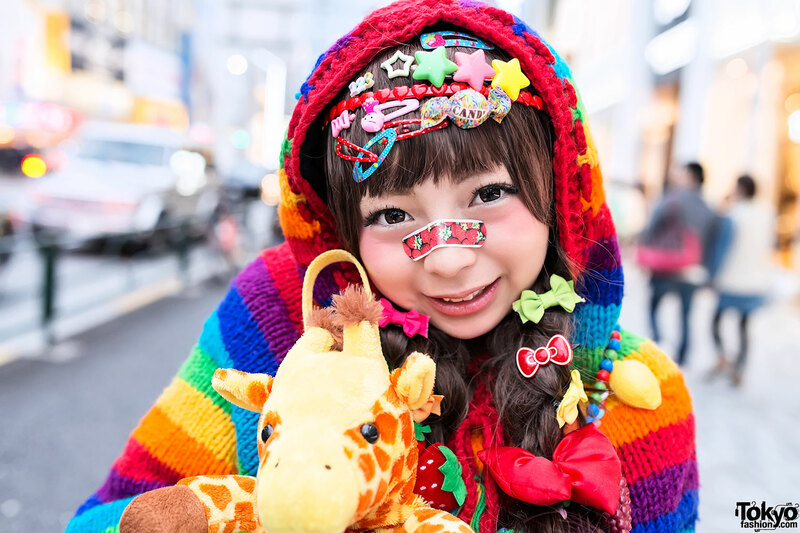 ), a strawberry band-aid, a fruit necklace, a beads necklace, colorful spiked bracelets, and a giraffe backpack from Harajuku’s 6%DOKIDOKI. 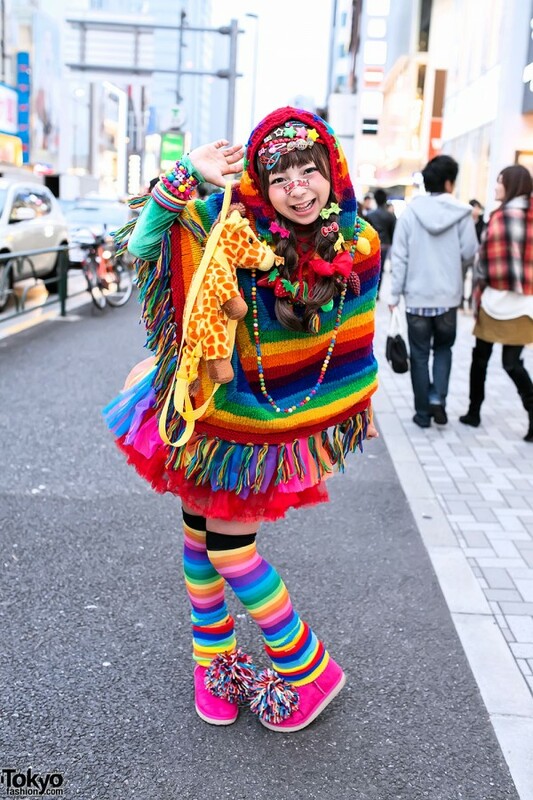 Creamy Sauce told us that she enjoys shopping for her colorful fashion at various Tokyo resale shops and her favorite music is by vocaloid. 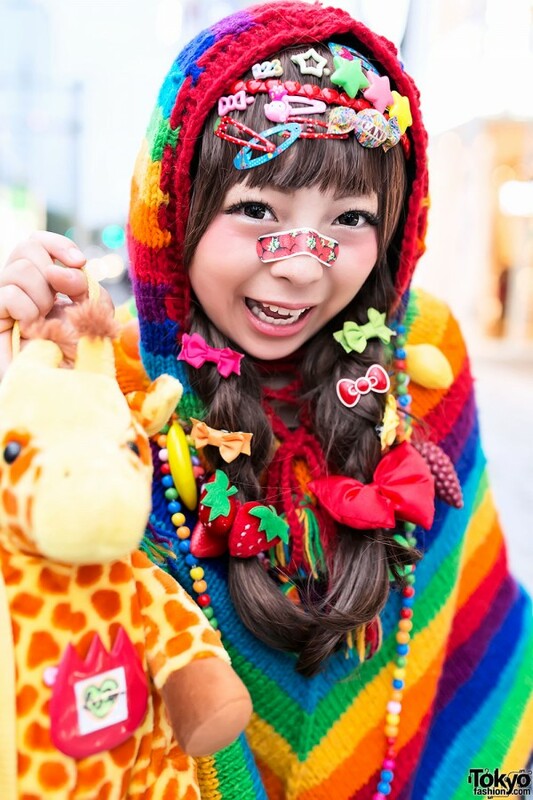 Find out more about her Harajuku life by following Creamy Sauce on Twitter! 虹頭巾 (にじずきん) Little Rainbow Riding Hood, very kawaii and very friendly too!